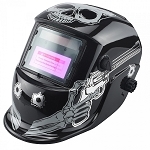 Proper protection is essential for welding, as you need defense against both heat and light. Welding arcs release dangerous sparks and produce damaging levels of ultraviolet and infrared rays. 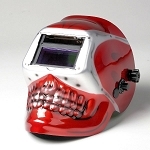 Auto darkening welding helmets have an electronic filter lens that automatically darkens when you strike an arc and lightens when it stops. This provides additional safety and comfort as you no longer need to raise and lower the mask yourself and allows you more freedom of movement. 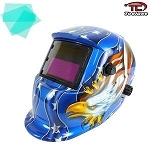 Rich Tool Systems has a great selection of auto-darkening welding helmets for MIG and TIG welding that are fully adjustable to be more comfortable and reduce fatigue. They have solar powered lithium batteries for long life, plus they're available in different styles so you can choose the one best for you and look good too! 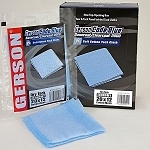 Complete your projects in safety and comfort with products from Rich Tool Systems.